Quite the common question with a variety of misunderstood answers is knowing how to correctly serve single malt will amplify your enjoyment. At Bespoke Unit, we refer to this as ‘The Ritual Of The Pour’. 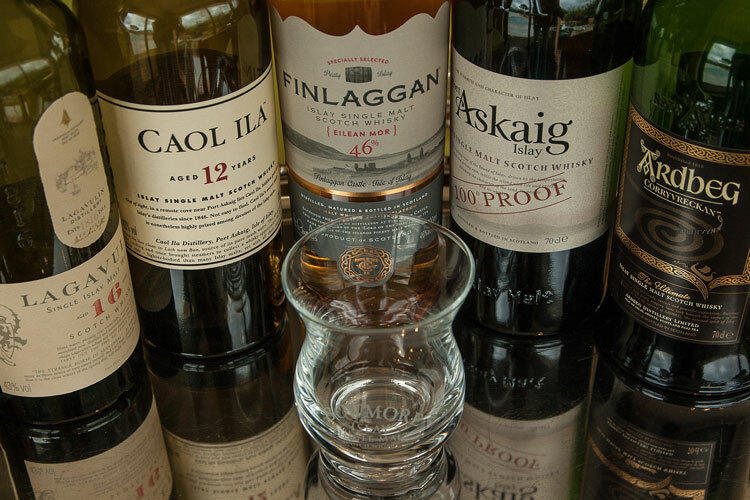 Pouring single malt Scotch is as much of the experience as sniffing and sipping it. Every enthusiast has a particular way he (or she) enjoys a whisky expression. However, there are a few things to bear in mind before you start tasting your whisky. In this comprehensive guide, you will be provided with all the basic steps on properly serving whisky from the right quantities to adding water to your dram. Furthermore, we’ll also cover considerations such as using stones to cool your whisky as well as decanting. Why & How Should You Add Water To Whisky? Should You Add Ice To Scotch Whisky? When Should You Decant Scotch? Use the links to jump ahead or scroll down to read it all! On this page, you can explore all the different ways and approaches to properly serving Scotch without potentially losing out on its enjoyment. Once you’ve read this particular guide, you can also learn the next steps, which involves actually tasting it! When you’re ready, head to our whisky tasting guide and learn the proper steps that will help you fully enjoy your beverage with an easy step-by-step approach. I learned a few things to improve my experience. Following the advice in this page, I appreciate whisky differently. Whisky Serving Guide Reviewed by Phillip C. on April 30th . When you select your glassware, ensure beforehand that it’s cleaned and that there are no traces of lint. Bits of fluff in the glass after hand-drying can affect the flavour, which is why air drying is always the best approach. When you’re ready, simply tip the bottle and pour. How much is up to you. A dram, 1.5 fluid ounces (45 ml) of Scotch. A finger, roughly equivalent to 1 fluid ounce (30 ml). Two fingers is considered a full serving (so named as its the height of your finger against the glass). A glass, however much the house prefers to pour; generally consisting of 1.5 – 2.0 fluid ounces (45 to 60 ml). Once comfortable with measurements you will be able to ‘eyeball’ the pour. Those of us who prefer this method usually offer to serve our guests by the finger. Until you have it down, feel free to use a bar jigger. Though being a bit avant garde with your pouring is a completely acceptable part of the whisky ritual. When Should You Add Water To Your Single Malt? One of the most common questions we receive is ‘should I add water to my whisky?’. Of course, you can Google this a hundred times and get a hundred different answers. The truest answer is: Yes, please water your whisky if you will enjoy it. After all, your dram is for your enjoyment so find what works for you. A few droplets from a glass dropper will often open up the nose and alter a whisky expression in quite a pleasant way. This is fun to experiment with by tasting the dram straight, tasting it again with a few droplets, and comparing notes to see how it changes. You can learn about droppers and find some of our favorites in our Guide to Glassware. When the water enters, the striations created in the whisky are fun to watch and greatly enhance the ritual of your pour. Watering an expression down to a palatable level, useful when tackling something extra briney or peaty and working your way up to enjoying a straight dram. Cutting the ABV to be smoother, useful for cask strength expressions or for those whose palates are sensitive to high alcohol content (remember, a standard dram is considered to be 40% – 43% alcohol by volume). You can learn about Glencairn pitchers and glasses in our Guide to Glassware. Do not put ice in your glass, ever! Yes, this may be a ridiculous overstatement and, yes, we just told you that your dram should be enjoyed however you like it (which remains true!). However, we are discussing the gentlemanly approach to single-malt Scotch. A mound of ice dumped into a dram will give you the appearance of a college boy who has never outgrown the Friday nights in the fraternity house. When Is Ice Appropriate With Whiskey? The elusive letter “e” is something of a giveaway here. Ice does have a place in the whiskey/bourbon world–it will enhance a nice rye or cut the burn from a bourbon. However, here it will simply waterdown a painstakingly crafted luxury experience. I always find it amazing how someone will buy a glass (or bottle) of a 21 year old offering and then cut it with a handful of ice cubes. Should you really wish to utilize ice, definitely look towards a spherical mold. They are inexpensive (roughly $10 for a mold) and the shape reduces surface area, thus causing it to melt slower. Even better, invest in an ice-press. The purpose of this device is to compress ice into a very dense sphere which greatly reduces the rapidity with which it melts. Plus, it looks rather fantastic as a parlour trick for your friends. Mind you, one of these can set you back a few hundred dollars but what is a few quid in the grand scheme of life? After all, Scotch collecting is all about indulgence. Note that there are a variety of specialty ice molds on the market, ranging from large balls or cubes, designed to a be a single chunk for your glass. These are typically used for imbibing rye whisky or a cocktail. They look very cool but are not the right tool for enjoying a single-malt Scotch. Admittedly, the purpose of our enthusiast guides is to give you basic knowledge (and pro tips!) to help you start your own experience and take pride in yourself. So, you really prefer a bit of chill to your beverage? Well if you do wish to put something cold in your Scotch, the best way to do this is with a Scotch rock or whisky stones. Rocks are literally that: a piece of stone (generally soapstone) which resides in your freezer. They are inexpensive and do a fair job of cooling a beverage without watering it down. Simply pop a rock or two in a glass just as you would with ice. They will even fit inside a Glencairn glass. Avoid the ‘large’ rocks that have been cropping up as these will not fit inside of every Old Fashion glass. An alternative to the small rocks are soapstone glasses which can be frozen ahead of time and pulled out when you would like a nip. It will certainly achieve a chill but, with the wide rim, you will not have the same imbibing experience. File these away as gimmicky. Scotch rock prices range but typically start around $10. Those sold by Krylaz through Amazon cost just that much and give you nine pieces, which you can share. An interesting fact, Scotch rocks actually began in Scotland as folks would take stones directly from a riverbed to chill down their Scotch, which was heated up by a day in the sun. Strictly speaking, putting Scotch whisky into a decanter is only for looks and offers little benefit to tasting. In fact, it could actually expedite the oxygenation of your whisky and limits its shelf life. Personally, we rarely use a decanter, preferring to keep our expressions in their original bottles & boxes until pouring a nip. When our resident whisky expert, Robert Raymond, serves single malt, he finds that his guests actually prefer to see the bottle and enjoy reading it as part of their ritual. If you do choose to use a decanter, make sure it’s made from crystal. For instance, this James Scott decanter is made with lead-free crystal and offers exceptional value for money at $20 on Amazon. Start Your Own Ritual: What Next? So, there you have it: our guide to providing a proper experience when you serve single malt Scotch Whisky. As your experience and enjoyment progresses, you’ll find your own techniques and rituals to make Scotch even more special. Until next time, slàinte mhòr agad (great health to you)! I was wondering why I got glares when asking for ice with whisky. Now I know! I’m new to whisky and love the stuff but it’s too much for me straight. I’ll start using a pitcher to cut it with water from now on instead. I’m quite similar. I find that the alcohol burns my nostrils when the whisky is straight and I can’t enjoy the subtle flavours. Cutting whisky was a game-changer for me.